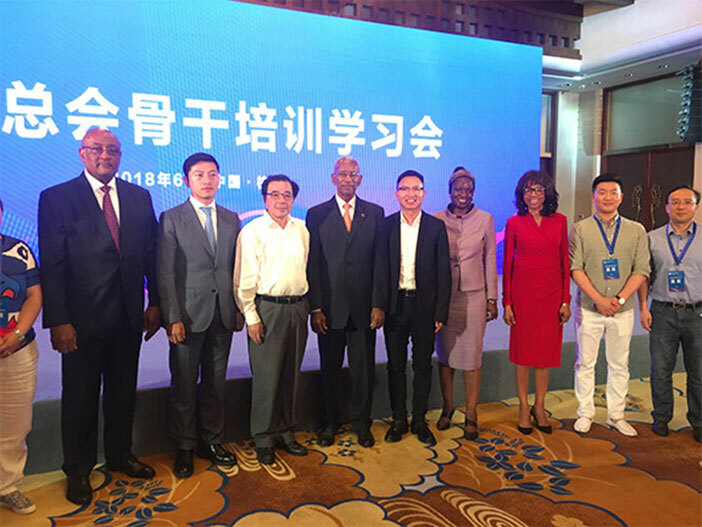 British Virgin Islands — Nationals of the People’s Republic of China (PRC) have been granted access to enter and remain in the Virgin Islands for business and tourism related matters only, for a period of less than six months without the need for a visa. This augments further the decision made on September 1, 2016, when the British Virgin Islands (BVI) Visa Exemption Policy went into effect. Through this policy, foreign nationals of a country, including Chinese nationals who held a visa from United Kingdom (UK), United States of America (USA) or Canadian were allowed to enter the Territory for business or tourism, without need for a BVI visa. All visitors including Chinese nationals will be subject to passport, immigration and other border controls in keeping with the laws of the Territory. Given recent advancements in trade, investment, tourism and financial services, and with Britain’s exit from the European Union, the Virgin Islands has been positioning itself to target this evolving market as Chinese travelers would provide a further boost to the Territory’s tourism sector. Government believes that this visa exemption will also help tremendously with the Territory’s global marketability in tourism and in the financial services sector. During the last decade, the Asian region has experienced rapid economic growth with its outbound tourist market. China is now the largest tourism source market in the world and, according to the World Tourism Organisation and the China National Tourism Association, Mainland China made 120 million trips overseas and spent US$215 billion on their holidays abroad in 2017. Cruises in particular are becoming a booming business for Chinese tourism. Some cruises have already started making long distance trips originating in China and traveling directly to the Caribbean. In 2016, the BVI submitted an application to the PRC to receive Approved Destination Status (ADS), which designates permission from the PRC Government to countries to promote their tourism in the Chinese market and to further allow Chinese nationals and tour groups to visit these destinations for tourism purposes. Countries without the ADS are not allowed to receive tourist groups from China or to promote their destination in China for tourism and are restricted to business and official travel groups only. More than 146 different countries and territories have signed an ADS tourism agreement with the Chinese government, and over 127 countries actively engage in tourism promotion in China. Competing Caribbean destinations, including Antigua and Barbuda, Turks and Caicos Islands and Jamaica, are capitalising on this phenomenon for Chinese tourists, including offering visa-free access. Chinese business travelers will be able to visit the BVI for matters related to their BVI domiciled companies, including litigation in the BVI courts with greater ease. Visa-free access would not only enhance the business traveler’s experience in the Territory, but it would also help in attracting new clients and easing access to using the BVI’s International Arbitration Centre for alternative dispute resolution. As the second largest economy in the world, China has been the Territory’s largest trading partner for over 25 years. Mainland China and Hong Kong companies have accounted for 41 percent of the US$1.5 trillion in assets mediated through the British Virgin Islands, underscoring the business and finance centre’s growing status as a hub for Chinese overseas investment.